Michelin star restaurants are increasing by number every day and the top food destinations in the world cover a lot of such places. Food doesn't just fill the stomach for a foodie, it touches the soul, it fulfils one's senses. Top food enthusiasts make it a point to visit so many countries as possible and taste their local cuisine, to find different flavours, and incorporating it in their food and recipes. 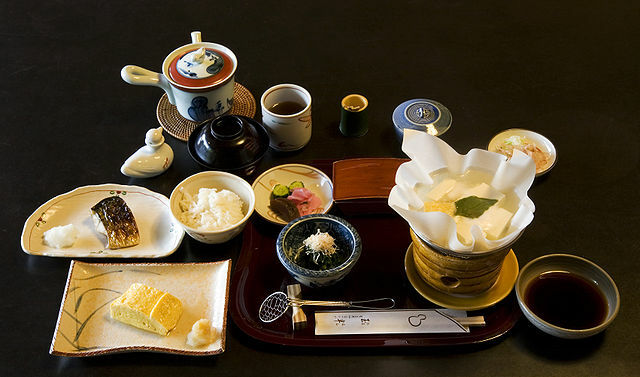 Tokyo boasts to be one of the best food destination in the world, with the maximum number of Michelin star restaurants to boast about, the city has a lot to offer. They have a variety of foods for everyone, from strange eel for the weird palate to sushi for the fine palate. It has insane skyscrapers and posh restaurants to the best kind of street foods available. London has a variety of cuisines to offer. High class gourmet food to the best kind of pop ups one can think of. It has a record of World's best restaurants in the world. The best English cooks boast of Michelin star restaurants which are world renowned. English food will always remain famous and even though bland, Londoners love their tea and wealthy breakfasts. For perfectly cooked meat and steaks, visit Argentina. They have fresh gourmet cuisine teamed with good drinks. Argentinian Empresas and stews are lip smacking and will leave you asking for more. From lip smacking Bolognese to pizza- Italian cuisine is food for the soul. Pizzas have always been a favourite food for everyone since time immemorial. Italy has the best cheese and ham production in the world and should be on a food lover's destination right on top. French cuisine explores gastronomical wonders, from innovative desserts to various meats, French cuisine is delicious. Rich in flavour, french bakeries create works of art. The use of cured meat and cheese in their food and teaming with the best alcohol in the country is spectacular. Thailand has scrumptious food for the soul and the mind. Their street food is infamous and so are the seafood array available. Fresh array of seafood is displayed every day in the colourful markets, attracting travellers worldwide. The good old Spanish classic Paella tastes like heaven in a plate. Again, a seafood lover’s paradise, Spain never disappoints. Spanish cuisine has an amalgamation of spicy as well as exotic flavours, making it all the more tempting and hard to resist. Last but not the least is India. With its ethnic diversity, there are almost endless types of cuisine available in one country. From the exotic South Indian cuisine to a tummy satisfying North Indian or Lucknowi biryani, to Chaats in Delhi- there is something for everyone. Indian sweets are world renowned and delicious. The use of masalas in the right amount and making a beautiful dish is what makes India one of the top food destinations in the world. Only a food lover would know what and when to eat, because one should be able to recognise. What fulfils the soul, and what fills the stomach!